Do not go outside the map. Do not go outside the area of the map where you can place waypoints. If you do your boat will shut off and sink without warning and a large shark will eat you. (though the first time does give an achievement when the shark eats you). It may be possible to fight off the shark with the knife, but I was unsuccessful in doing so. When you meet the necessary requirements listed below search the indicated locations to find the corresponding Strangers and Freaks mission. These missions are optional side-quests which can sometimes unlock collectables. All the Strangers and Freaks will first appear as a '?' on the map and their colour will be matched to a specific protoganist. When a week of in-game time has elapsed there is the possibility that they may reapear for a second mission. Unlocked after: Collect 30 Sub pieces. Unlocked after: Register the form on the Epsilon website. Unlocked after: Complete all Beverly missions. Unlocked after: Find all 50 letter scraps. Unlocked after: Complete the previous Thornhill missions. Listed below are ALL the missions that are in the game. Several main missions are optional and can be skipped depending on your choices during gameplay. Below is a list of the differweapons that you can use in the game. This will be available in the Grand Theft Auto V special and collector's edition. Basic truncheon used by the police. Italian hybrid semi-automatic handgun that also resembles a Colt M1911. US/Israeli large-framed gas-operated semi-automatic combat pistol that will be available in the Grand Theft Auto V special and collector's edition. Israeli open-bolt, blowback-operated sub-machine gun. Resemblees the Belgian FN P90 personal defense weapon. Resembles the Kel-Tec KSG. 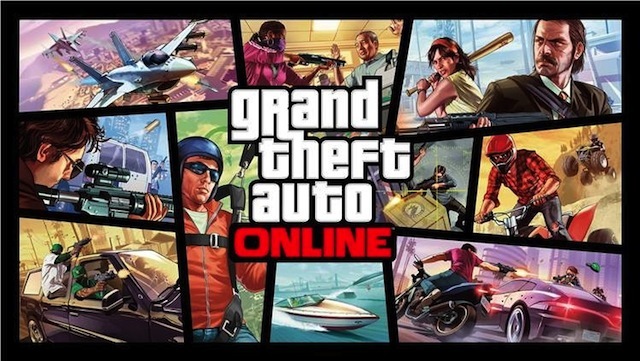 It is available to download for those who bought the normal edition and will also be available in the Grand Theft Auto V special and collector's edition. Resembles the Serbu Super Shorty. US semi-automatic shotgun that resembles the Auto Assault-12 (AA-12). Resembles the Israeli Bullpup rifle IMI Tavor TAR-21. Resembles the Norinco Type 56-2, a Chinese AK-47 clone. Resembles the German Heckler & Koch HK416. Chinese general purpose machine gun. US heavy SASR (Special Application Scoped Rifle). Gatling gun that resembles various US minigun models. Chemical weapon that causes tears, pain and blindness. Plastic explosives that can easily be molded into any desired shape. Douse objects in gasoline and light with a match to ignite it. Dampens gunshots and hides the flash. Laser attached to the gun that points where the bullet will hit. Increases the amount of bullets in a guns magazine. Below is a list and description of ALL the types of vehicles that can be found in the game. High performance roadster that resembles an Audi R8 Spyder. Two-door sports car that resembles a Ford GT. Sports car that resembles a Ferrari Enzo from the front and sides and Koenigsegg CCX from the rear. Sports car that resembles a Porshe 997 GT3. Soft-top roadster that is based on a mixture of a Ferrari California and an Aston Martin V8 Vantage Roadster. Grand tourer that appeared in The Ballad of Gay Tony. Two-door convertible Sports car that resembles a Mercedes-Benz. Sports car that resembles a Lamoborghini Muricelago. Two-door sports Coupe made by the fictional Maibatsu Corporation. Roadster that resembles a Lotus Elise. Convertable sports car that resembles the BMW-3 Series. Two-door sports car that resembles a Mitsubishi 3000GT and a Toyota Supra from the rear. Two-door roadster manufactured by Benefactor the fictional luxury automaker. Grand tourer modelled after the Aston Martin DB series made famous by James Bond. Two-door coupe that appeared in Grand Theft Auto IV. Coupe pick-up truck that appeared in San Andreas. Two-door muscle car that resembles a 1979 Pontiac Firebird and a 1973 Chevrolet Camaro from the rear. Two-door 1980's styled sports car. 1970's styled coupe that borrows bits and pieces from various American Muscle cars. Two-door Convertible muscle car that resembles a 1964 Pontiac GTO. 1950's styled two-door lowrider that resembles a Chevy Impala. Two-door muscle car that resembles a Shelby Mustang GT500. Two-door muscle car that resembles a 1969 Chevrolet Camaro. Two-door lowrider that resembles a 1960 Chevrolet Impala. Basic two-door Japanese hatchback that resembles a Toyota Corolla. High performance executive car that resembles the Audi A Series. Four-door German cruiser that resembles the 1980's Mercedes-Benz E-Class. Sports sedan based on the 2006 Dodge Charger LX. Four-door sedan that is the civilian version of the Taxi and Police car. Luxury four-door sedan that resembles the Cadilac CTS. Basic four-door sedan that resembles a BMW 5 Series. Basic four-door sedan that resembles a Lincoln Continental. Offroad pickup truck that resembles the 1960' Kaiser Jeep. Resembles the classic Volkswagen Camper van of the 1960's. Four-door SUV that resembles a Hummer. Law enforcement version of the Speedophile 2000 jetski. Black and white liveried police cuiser. High level persuit helicopter that resembles the American Eurocopter AS350B-2 A-Star. Sheriff's version of the Police patrol car. Motorbike that appeared in The Ballad of Gay Tony. Motorbike that resembles the Ducati 1199 and EBR 1190RS. Motorbike that appeared in Grand Theft Auto IV. Touring motorbike that resembles a Harley Davidson FLHX Street Glide. Long single-hull sailboat with a Bermuda rig. Sub-aquatic vehicle that resembles a PC-12 Perry. Large 4-engine transport airplane that resembles the Lockheed C-141 Starlifter. Small attack military helicopter that appeared in The Ballad of Gay Tony. Fixed wing airplane that appeared in San Andreas. Twin engined light aircraft that resembles a Piper PA-30 Twin Comanche. Single-engine multirole fighter aircraft that resembles a F-16E Fighting Falcon or F/A-18 Hornet. Jet-powered fighter that appeared in San Andreas. Civilian Helicopter that resembles a Eurocopter EC135. Executive jet plane that resembles a Learjet 45. Seaplane that appeared in Vice city. Dirt buggy that appeared in San Andrea. Custom car that resembles a 1930's Hot Rod. We have 161 questions and 173 answers for this game. How do I use the turbo when ..
How/where can I call for an..